Product code: 1217 Categories: Sold Items, Sold Watches. The Breitling Aerospace is such a rugged and handsome looking watch, perfect for someone who wants a watch that they can wear with a suit, and easily continue wearing it on the weekends. Made in the titanium case with the Breitling 18ct and titanium “Professional” bracelet, the case measures 40mm across. With a Chronometer rated quartz movement with countdown timer, dual time zone, alarm, day date and month and minute repeater, and all protected by a scrath resistant sapphire crystal, this is a great piece of technology from Breitling. Complete with box, papers and instructions, this is a great all-rounder watch. 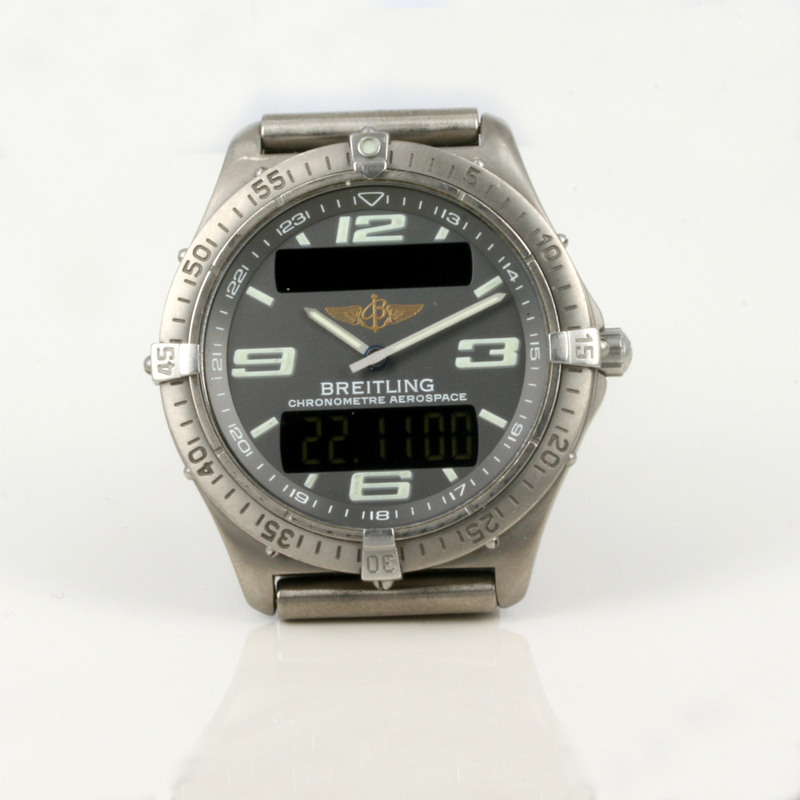 Make & model: Breitling Aerospace, model e75362.